Retains and facilitates the laying of cables in the trunking. Ensures the fixing of the cover in the most demanding cases: impact resistance, vertical posts, inverted mountings, outdoors mountings etc. 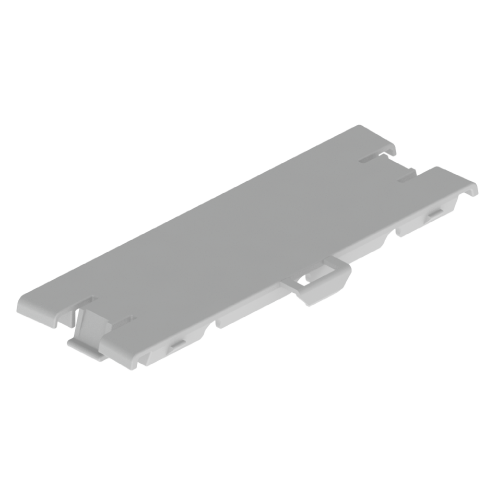 The trunking is supplied with a retainer every 0.5m, fixed on the side of the trunking. If necessary, more retainers can be placed along the trunking. Quick assembly by simple pressure on the sides of the channel, even when the dividers are mounted on the trunkings base. Compatible with trunkings 60x150 in white and grey colour. RRP: 1,15 EUR* / 1pc.